It’s been a good school year for Gina Gordon. Not only was the Newton Elementary School teacher named the Golden Apple teacher for April, she was honored again this week when she was named the Golden Apple teacher of the year for 2015-16. The ceremony was held Thursday night at the Tommy E. Dulaney Center at Meridian Community College. "Never for a second did I think I’d get the award," Gordon said later. "Not after seeing all those other teachers — I felt unworthy, because I definitely would’ve voted for everybody else, not myself." Gordon likened receiving the award to winning an Oscar. "I felt like there should’ve been a red carpet for us," she said with a laugh. Described as a dedicated, compassionate teacher by her peers and students, Gordon has taught every grade except kindergarten. She’s taught gifted students for the past eight years, a role she relishes. "It gives me the freedom to do what I want and develop my own curriculum," she said. "That lets me enjoy teaching; I feed on the kids’ interest and can teach what they like and that makes them enjoy my class even more." "Teaching helps me get up in the morning," she said. "Knowing I can go in and help the kids- they’ve helped me personally more than I can describe." Gordon, who holds a National Board Certification, is a graduate of East Central Community College in Decatur and Mississippi State University. She’s been teaching for 22 years. Her advice to new teachers: take it slowly, and look at the long haul. "Don’t go into to it your first year thinking you’re going to be a wonderful teacher, because you’re not," she said. "I don’t think I became a real teacher until my fourth year of teaching." After spending that school year helping a troubled student, Gordon says she realized "Teaching is not about textbooks or tests — it was about kids," she recalls. "That changed my whole focus of teaching." "When the children I have taught through the years, come back to me as adults and tell me how much I inspired them, that makes it all worthwhile," she said. "Some of them have even become doctors and lawyers." As a Golden Apple Teacher of the Year, Gordon received $2,500 cash and $2,500 scholarship to be awarded to a deserving student in her name. She chose Warren Dawkins to receive the scholarship. "He’s one who stood out for me," Gordon said. "I expect great things from him — he’s had so much tenacity. He’s just amazing." 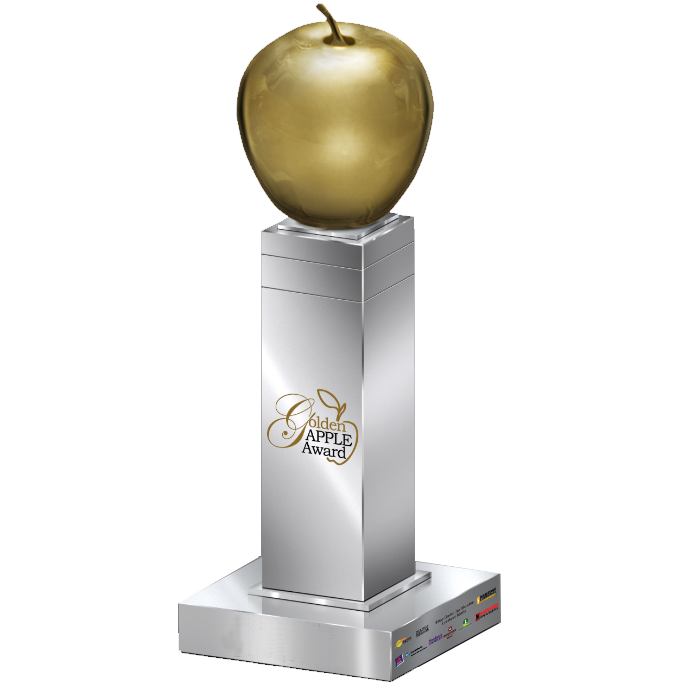 The Golden Apple Award is open to any educator, grades kindergarten through 12th grade who works in Lauderdale, Neshoba, Kemper, Clarke, and Newton counties in Mississippi, or Choctaw and Sumter counties in Alabama. In addition to Gordon, seven other teachers were named Golden Apple winners this school year: Julie Rawson of Clarkdale High School, Rhonda Burrage of Magnolia Middle School, Debbie Chance of Northeast Middle School, Teresa Davis of West Lauderdale Elementary School, Debra Mosley of Patrician Academy, Lindsay Lewis of Neshoba Central Elementary and Will Pierce of Southern Choctaw High School. Each of those teachers stands as an example of what dedication looks like, said Mike Reed of the Meridian Family of Stations at Thursday’s banquet. "Each of you honors the schools and districts you represent. Without teachers making a difference in our lives, none of us would be here," he said. •WGBC - June 4 at 6 p.m.
•WMDN - June 5 at 12:30 p.m.
·Bounce - June 5 at 12 p.m.
·COZI- June 5 at 5 p.m.